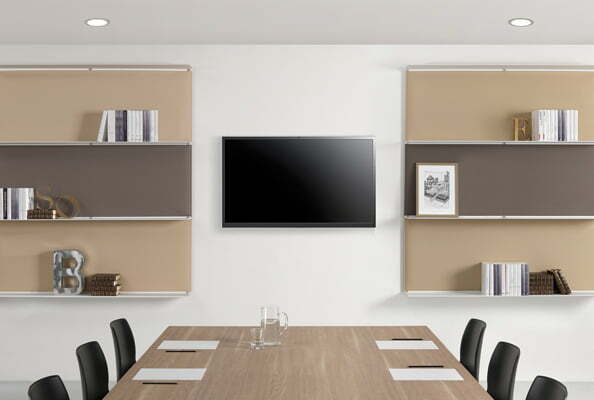 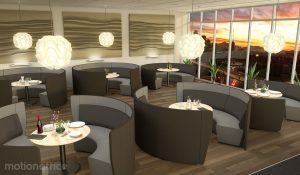 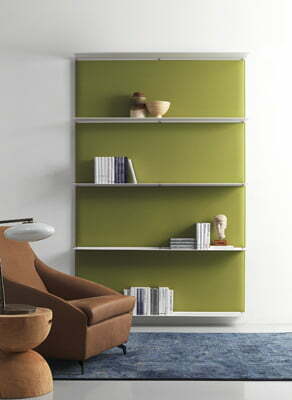 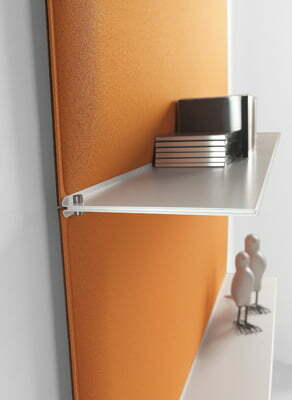 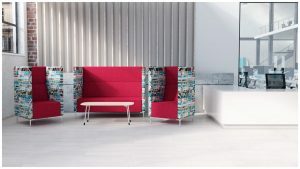 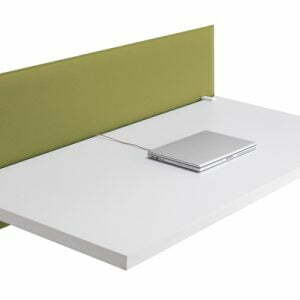 Blade is a modular shelving system whose back panel is consisting of sound-absorbing panels. 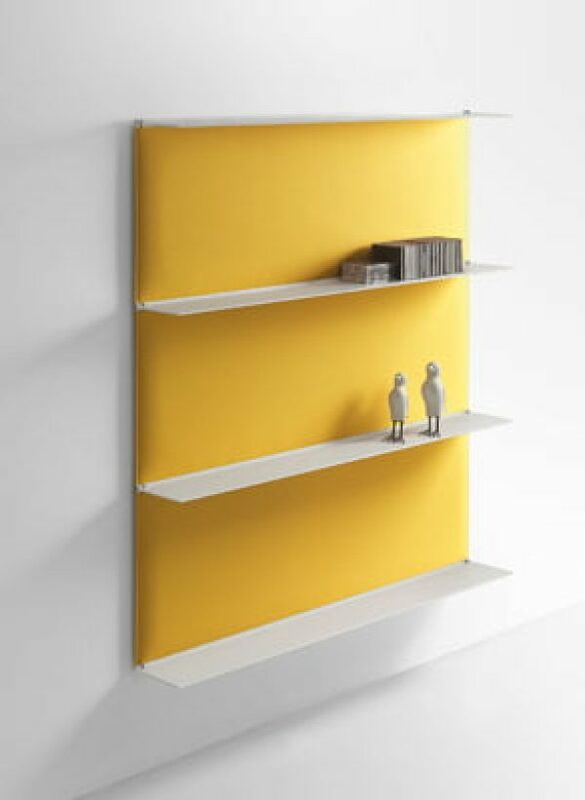 The slim shelves create a visually light and minimalist overall image. 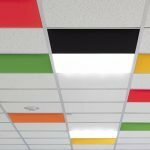 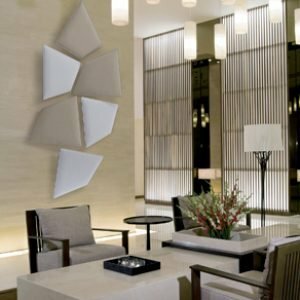 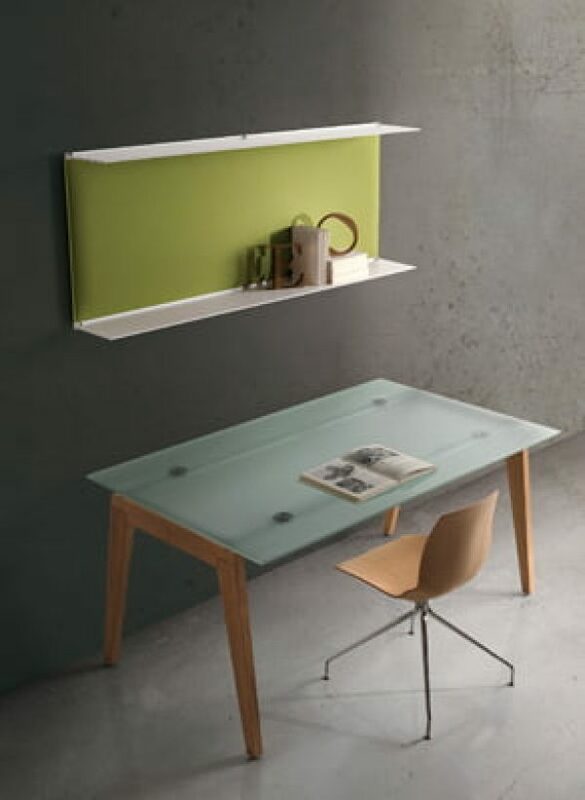 The shelves are entirely made in epoxy powder-coated steel: a wall-mounted load-bearing core and a very thin external lining (support surface).